Take the kids to the cinema for just £1! I love going to the cinema, but with the high prices for tickets a family trip to see the latest releases can become an expensive affair. Luckily, for the past few weeks we have been able to see a Saturday matinee at Cineworld for just £1 a ticket! Even when our whole family attend, the total cost is less than a single full priced child ticket, making this a cheap and cheerful outing we can afford on a weekly basis. Cineworld's Movies For Juniors show each Saturday at participating cinemas. Usually there are three films on offer (a new film is selected each week), all of which start at 10am. These films tend to be older releases, and are movies most suitable for children. This week, for example, we can choose from Madagascar 2, Hotel for Dogs and Bee Movie. We've previously seen Beverly Hills Chihuahua and Bedtime Stories, both of which were films the kids really enjoyed on the big screen. 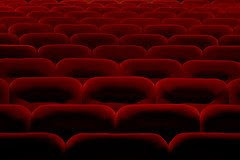 To find out more about what's showing in the Movies for Juniors selection, take a look at this page of the Cineworld website. In order to buy your tickets for £1, you will need to book/buy tickets in person from your local Cineworld cinema. It is possible to book online or by telephone, but a 60p charge for each ticket will apply! Tickets can be sold out quite quickly, so if you're worried you may not get in for the film of your choice, drop in to your cinema earlier in the week and buy in advance. I only wish popcorn was as cheap for these showings (as our local cinema disapproves of people taking their own snacks into the cinema). However, if you specifically ask for a "Juniors Munch Box", you can get a kids sized box filled with the popcorn of your choice, a Capri Sun juice drink and a small packet of sweets for just over £3 (this may be different depending on the prices at your local Cineworld). Hope you enjoy taking the kids to the cinema for less!